The recent resurgence of Islam in the Middle East is a far more complex phenomenon than is often suggested by those analyses which reduce recent developments in the area to no more than an intensification of religiosity. 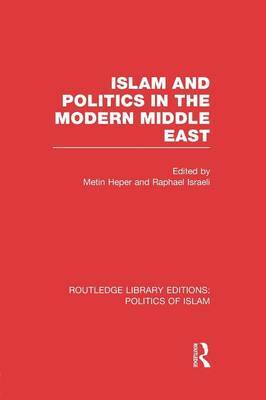 Islam and Politics in the Modern Middle East challenges that perception of the contemporary Middle East. It explores the nature of the Islamic revival and attempts to establish the original impulse behind particular instances of Islamic resurgence. It also examines the degree to which religious institutions have served as a mechanism for expressing secular demands and frustrations and investigates to what extent politics is a functional alternative to religion.